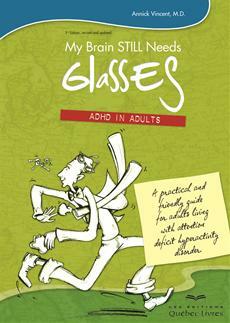 ADHD manifests itself during childhood with symptoms of inattention, hyperactivity and/or impulsivity. The methods used to reduce the symptoms act like glasses for the brain, by helping concentration or curbing fidgetiness. 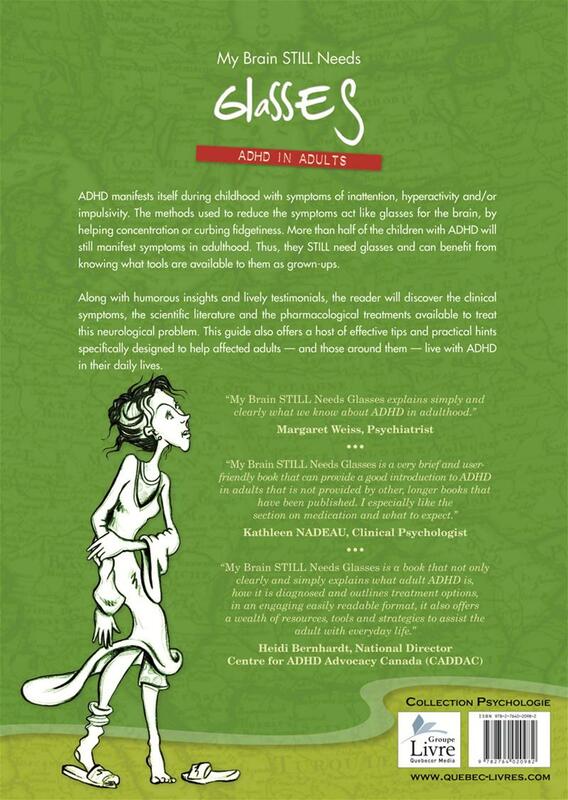 More than half of the children with ADHD will still manifest symptoms in adulthood. Thus, they STILL need glasses and can benefit from knowing what tools are available to them as grown-ups. Along with humorous insights and lively testimonials, the reader will discover the clinical symptoms, the scientific literature and the pharmacological treatments available to treat this neurological problem. 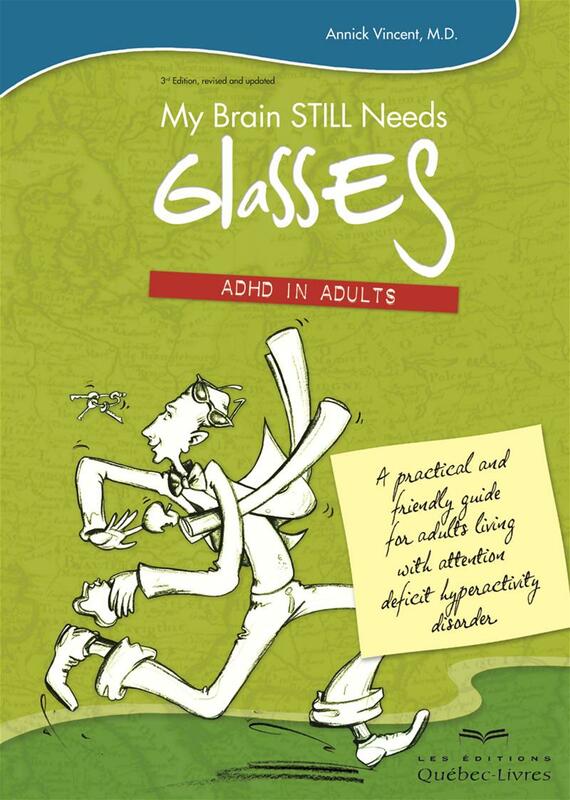 This guide also offers a host of effective tips and practical hints specifically designed to help affected adults — and those around them — live with ADHD in their daily lives.